Fundraising experts to help you reach your goals! Healthy Nonprofits: Top 10 Experts to learn from as you prepare for your fall fundraising season. The busiest season for development professionals in the nonprofit world has just started! As a support center for over 100 legal services organizations in the state, we care about the successes of our fellow legal nonprofits. With this in mind, our Healthy Nonprofits Program put together a list of folks you should follow to boost your year-end campaigns. Check out this diverse and amazing group of people, and be sure to subscribe to their newsletters! 1. Claire Axelrad has helped nonprofits implement innovative fundraising and marketing strategies that advance the mission, vision, and values of causes addressing society’s most pressing problems. She also teaches a variety of topics such as development/marketing integration, nonprofit management, strategic planning, major gift stewardship, and annual giving donor identification and cultivation. 2. Pamela Grow helps small nonprofits develop sustainable funding through donor-centered fundraising. She is also the author of Five Days to Foundation Grants, the first online grant-writing guide, and the creator of Simple Development Systems, an interactive ebook written exclusively for the overwhelmed fundraiser in the one-person marketing and development shop. 3. Mission Minded is a branding firm that works exclusively with nonprofit organizations and foundations. They provide help with honing an organization’s brand, strategically crafting messages, and creating campaigns, websites, and printed materials that are easy to understand and that move people to action. 4. Tom Ahern is considered one of the world’s top authorities on raising more money with more donor-centered communications. He is an award-winning copywriter and journalist and author of five well-received books on the topic. 6. Chris Davenport creates fun weekly videos to help nonprofits raise money, steward donors, and inspire board members. Each week, he takes interviews with Development Directors, Executive Directors, Board Members, Donors, etc., and turns them into short videos on how fundraising professionals overcome particular problems every Monday morning! 7. Shannon Doolittle is a fundraising and donor happiness coach. She helps nonprofits create and improve their event fundraising programs. In her trainings, she shares the know-how nonprofits need to skyrocket their fundraising results and donor retention rates. 8. Gail Perry provides a number of innovative strategies for getting Boards energized and involved with the fundraising process. You can read her weekly blog at FiredUpFundraising.com, and also find her articles at Nonprofit PRO (formerly FundRaising Success), Guidestar, and Capital Campaign Magic. 9. Joan Garry works with nonprofit leaders assisting with crisis management, executive coaching, and the building of strong management teams to support the work of the CEO. She also teaches nonprofit media strategy as a professor at the Annenberg School for Communications at the University of Pennsylvania, and is a blogger for The Huffington Post. 10. Tony Martignetti is the creator and host of the Nonprofit Radio and hosts 50 shows a year, picking the brains of authors, consultants and thought leaders to help small- and mid-size nonprofit organizations. Toby Rothschild, a Board member and pro bono Of Counsel to OneJustice, shares valuable insight all nonprofit leaders should know. Toby is a longtime partner in OneJustice’s efforts to strengthen the civil legal aid system and has been a member of the OneJustice board since 2000. He provides ethics trainings to our network organizations throughout the state. We asked Toby to tell us about his path to becoming an Ethics trainer in the legal services sector. Please join us in welcoming Toby! Toby Rothschild, Of Counsel to OneJustice. Thank you for joining us, Toby! Tell us what started your interest in legal ethics? Shortly after I became Executive Director of the Legal Aid Foundation of Long Beach, I was faced with an ethical conflict. We were representing a client who was attempting to stop the demolition of some low income housing by the city. The president of my Board of Directors raised questions about the client’s eligibility and asked me to show him the intake information. I refused, and told him that I had verified that the client was eligible, and that he had not consented to sharing the information with the board. To avoid a standoff, we agreed to send a joint letter to the Ethics Committee of the Los Angeles County Bar and be bound by their decision. The Committee issued an opinion that made clear that the board was not entitled to confidential client information. I maintained an interest in legal ethics after that, occasionally doing training for my staff and for other legal services attorneys. When LAFLB and LAFLA merged, I became General Counsel of LAFLA, and ethics advice and training became a major part of my job. I began offering monthly ethics training for LAFLA advocates, and soon began inviting all of the other LA area advocates to attend as well. In addition, I provided counselling on ethics issues for LAFLA and other advocates throughout the state. When I retired from LAFLA about a year ago, I was looking for a way to continue to use the knowledge I had developed to assist legal services advocates and programs. I talked to OneJustice’s CEO Julia Wilson and we agreed that it would be useful to offer the training and consulting I had been doing through LAFLA as part of OneJustice’s programs. What are the general topics you cover? In some ways, ethics in legal services programs is no different than for any other lawyers. The same rules apply. On the other hand, the kinds of ethical issues that arise are often different. Legal services lawyers seldom face ethical problems with how to collect their fees, or how to sell their practice (for example, who would want to buy it?). The two primary ethics issues that do arise, conflicts of interest and confidentiality, come up in different contexts. So the training focuses on the particular issues like these that arise in a legal services setting. In these trainings, we talk about the unique issues of representing nonprofit organizations, withdrawal from representation, whether you can give a client money for a meal or bus fare, and communication with clients, among other issues. There are many issues that arise in situations where the program is representing multiple clients in the same case. It might be several tenants suing a landlord for lack of maintenance, or several employees suing their employer for wage theft. There are several disclosures that have to be made to the clients in such cases to get their consent to continue representing all of them. And how do organizations benefit from Ethics trainings and consulting? Every lawyer needs to keep up to date with their ethics training. First, it is important to understand the rules of the road, so you can avoid ethical pitfalls. Second, ethical conundrums arise in every practice, and it very useful to have a place to go to get guidance on how to address the complexities of the rules and cases. And it is useful to have someone outside the organization to consult with, as there are some circumstances where consulting only with your colleagues can cause ethical problems by itself. Thank you so much, Toby, for your guidance and leadership! 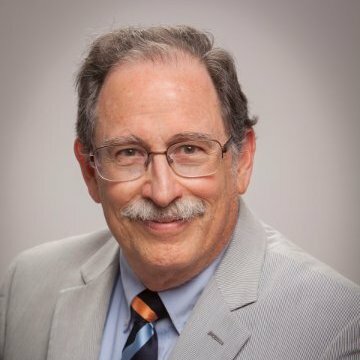 About Toby Rothschild: He recently retired after serving as the General Counsel of the Legal Aid Foundation of Los Angeles (LAFLA) for 13 years. Prior to that, he was the executive director of the Legal Aid Foundation of Long Beach (LAFLB) for 28 years and Interim Executive Director of LAFLA. He graduated from UCLA School of Law in 1969, and has worked at legal aid programs since graduation. He has been the president of the Long Beach Bar Association and was Vice Chair of the California Commission on Access to Justice. Toby has served as a member of the State Bar Committee on Professional Responsibility and Conduct and as Chair of the Professional Responsibility and Ethics Committee of the Los Angeles County Bar. He also was liaison on access to justice issues to the first commission which drafted the proposed new California Rules of Professional Responsibility, and is a member of the newly appointed Rule Revision Commission. He currently serves as a member of the State Bar Judicial Nominees Evaluation Commission and he’s been a member of the OneJustice board since 2000. He currently serves as pro bono Of Counsel to OneJustice. 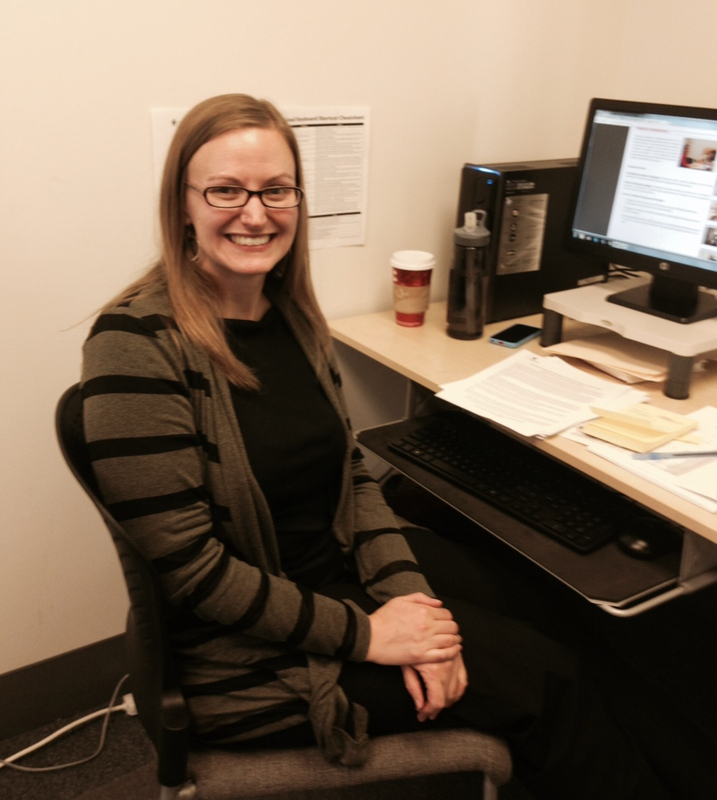 A chat with Executive Fellowship faculty, Elizabeth Schaffer. We invited Elizabeth Schaffer—a nonprofit leader, consultant, trainer, and author—to tell us about herself and her work with the OneJustice Executive Fellowship. Elizabeth is a longtime faculty of the Executive Fellowship. She coaches nonprofit leaders in the process of improving the quality of their organizations’ financial data and analysis, and also assists in enhancing organizations’ decision-making abilities. She is the co-author of Financial Leadership for Nonprofit Executives: Guiding Your Organization to Long Term Success (Fieldstone Alliance Press), a book that we use in our program, and an absolutely essential resource for all nonprofit leaders. 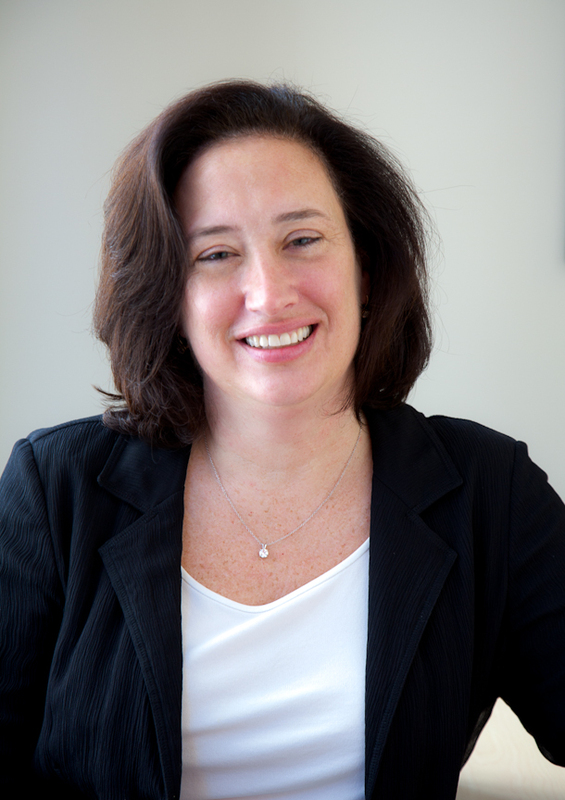 Elizabeth Schaffer, Chief Financial & Operating Officer at the Global Fund for Women and faculty of the Executive Fellowship. Thank you for joining us, Elizabeth! Tell us a little more about yourself and what you do. I am currently the Chief Financial & Operating Officer of the Global Fund for Women – the largest foundation exclusively funding international women’s rights organizations. I have been involved with nonprofit financial management for over 20 years, as a finance director, consultant, trainer, and author. We are so happy to have you as an Executive Fellowship faculty. Tell us why you are involved in the Fellowship program. 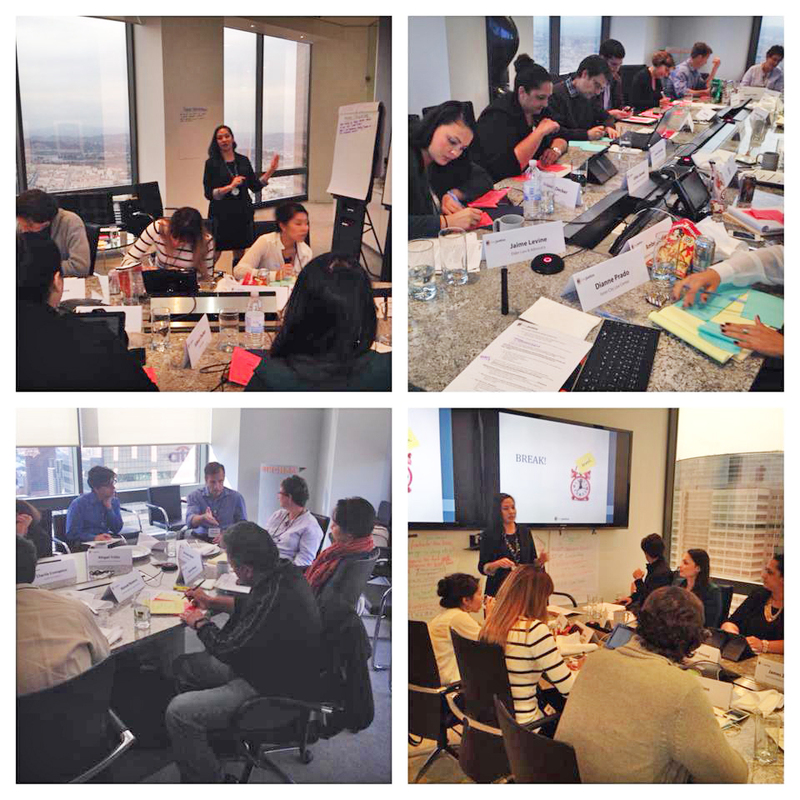 The fellows cohort is consistently smart, dedicated, and engaged. I especially love teaching in the program because so many folks introduce themselves by saying: ‘I’m not good at finance,” and then go on to really, really understand the content – and bring it back to their organizations. Without question, my best student is Julia! As a nonprofit financial management coach, what is your top advice to nonprofits hoping to develop and strengthen their financial leadership? Trust your instinct, not necessarily the numbers on the paper. If what you have at hand does not seem correct, challenge it! Amazing advice! Thank you so much, Elizabeth, for your guidance and leadership teachings! OneJustice welcomes new staff in a two part series. 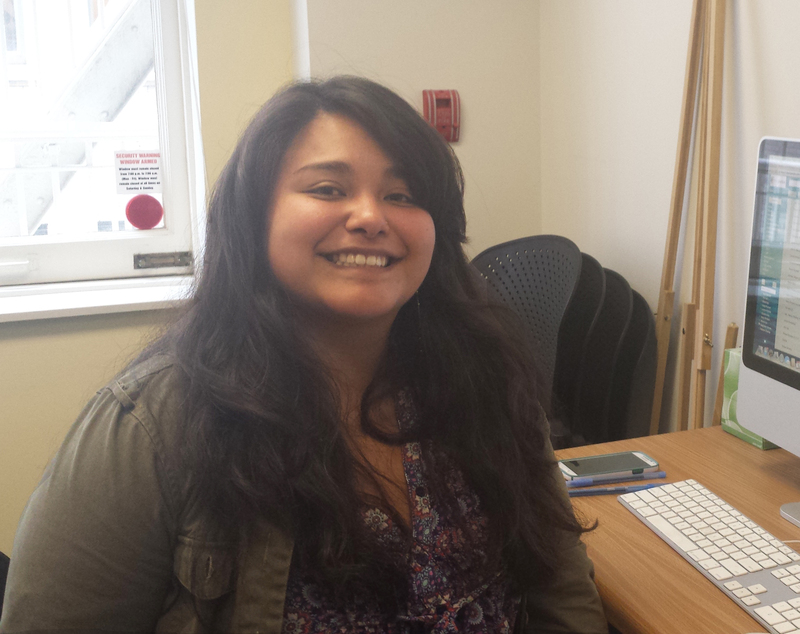 This month, we will feature a 2 part series to introduce our new staff: 2 this week and 2 next week. So many great new folks at OneJustice and we can’t wait for you to meet them! Please join us in welcoming the first two newbies: Chris McConkey, Staff Attorney of the Healthy Nonprofits Program and Patrick Fodell, California Pro Bono Institute Coordinator. We were so excited to hear about these new positions that we asked them to share with us a little about themselves and their projects. Please welcome Chris and Patrick! 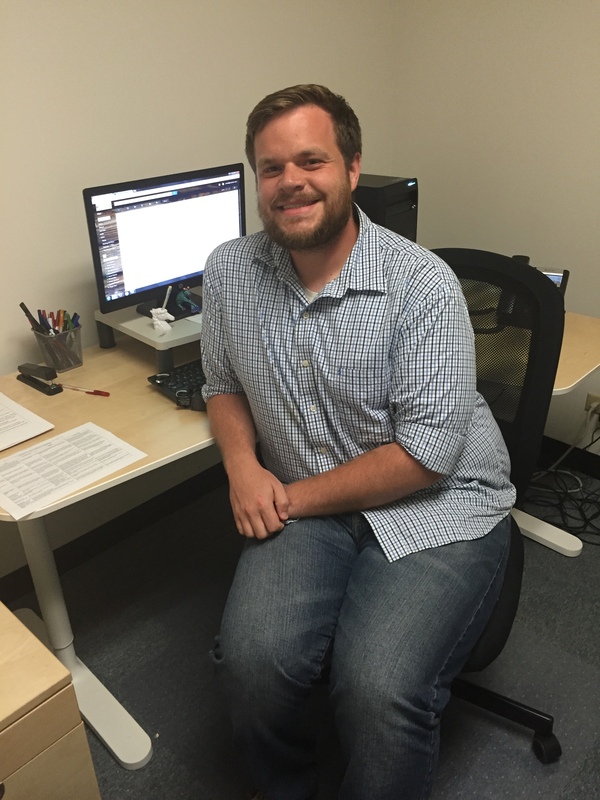 Chris McConkey, Staff Attorney for the Healthy Nonprofits Program. So Chris, what drew you to OneJustice and in particular, the Healthy Nonprofits Program? OneJustice leads with cutting-edge best practices and optimism. I love that the Healthy Nonprofits Program (“HNP”) concentrates on strengthening California’s legal nonprofit infrastructure. HNP works –at both the organizational and system levels–through nonprofit management consulting and public policy advocacy. We help legal services nonprofits to become more robust and grow. A larger and stronger legal nonprofit infrastructure expands the availability of quality legal representation for people who are lower-income. Tell us more about your Staff Attorney position. What kind of work will you be doing? As a Staff Attorney, I will help with OneJustice’s consulting and public policy work. This includes researching, crafting, and sharing best practices in nonprofit law and management, such as strategic planning, program assessment, board governance, employment, ethics, and tax. I will also track and advocate for public policies that promote the health and positive perception of legal services nonprofits. What was your career path that led to OneJustice? Just before I came to OneJustice, I was the Staff Attorney and Intake Coordinator for the Los Angeles HIV Law and Policy Project (“LA HLPP”) at the Disability Rights Legal Center. At LA HLPP, I provided counsel and representation to people living with HIV or AIDS. Most of our clients were lower-income, LGBTQ, monolingual Spanish-speaking, and/or had co-occurring chronic health issues. I advised them on legal issues arising from their medical conditions such as employment discrimination, medical privacy, public benefits, and medical planning. Before LA HLPP, I clerked at the ACLU of Southern California and Public Counsel Law Center in Los Angeles. All great answers, Chris! Is there anything else you’d like to add? I really like science–especially astronomy and astrophysics. I even prepared to study those subjects in college. Now, I visit the California Academy of Sciences whenever I can, and try to camp where there is little light pollution, so I can see the stars! Thank you so much for answering our questions, Chris! Patrick, your turn! Tell us, why OneJustice? 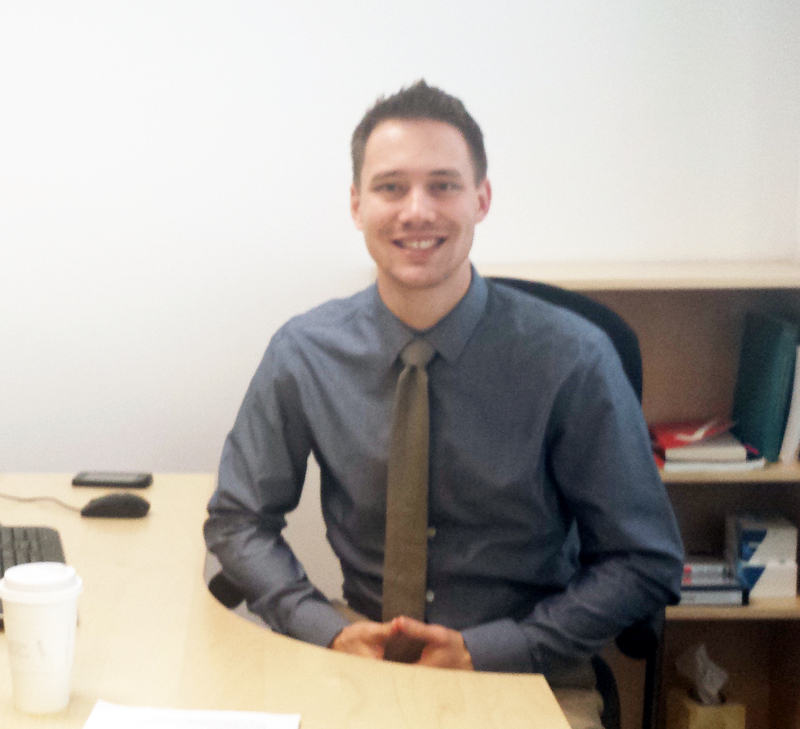 Patrick Fodell, California Pro Bono Institute Coordinator. What will you be responsible for at OneJustice – and what do you hope to achieve? 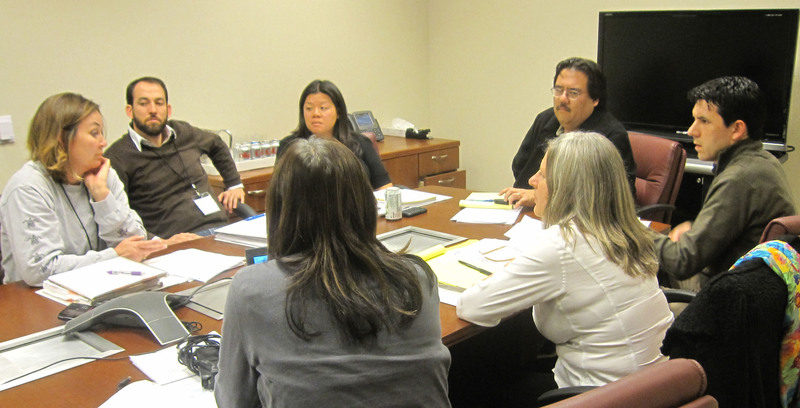 100% of my time is dedicated to the California Pro Bono Training Institute (CPBTI), a new project of OneJustice. With our partners at the Legal Aid Foundation of Los Angeles and Neighborhood Legal Services, we hope to achieve CPBTI’s goal of increasing efficiency in the statewide pro bono delivery system and expanding overall pro bono in the state by increasing access to trainings, reducing the creation of duplicative trainings, and facilitating easier recruitment and support of private sector attorneys. We all know how impactful pro bono volunteers are, so I am very happy to be part of a project that will bring in more pro bono volunteers throughout California to assist those seeking justice. I’ve been working in legal aid since I graduated from college in 2008. My positions at the Legal Aid Association of California, the Watsonville Law Center, and Self-Represented Litigation Network revolved around planning and executing trainings for either legal service organizations or community members. I am so excited to continue to plan trainings but this time for future pro bono attorneys! And tell us something about you that is not work-related. As a recent transplant to the Los Angeles area, I’m very into exploring LA in order to determine if Southern California does indeed have a better burrito than Northern California. The jury is still out, and I am open to suggestions. We are so excited to welcome you two to the team! See you all next week when we introduce our other 2 new staff members! Have you met this consultant, educator, and philanthropist? We are so pleased to be honoring Martin Tannenbaum – Consultant, Educator, Philanthropist, and a wonderful partner of OneJustice. Martin has been a leader in transforming the civil legal aid system through the development of OneJustice’s Executive Fellowship, which is now in its 5th year, and next month, will graduate the 100th Fellow. 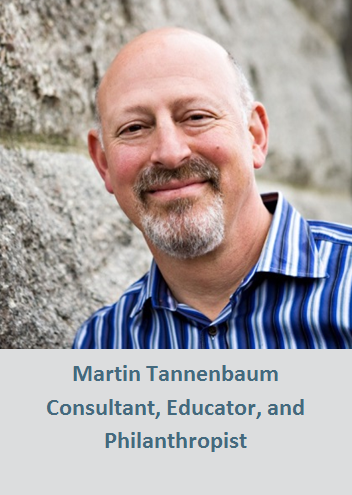 Please welcome our third honoree, Martin Tannenbaum! Martin, Opening Doors to Justice event is less than a month a way and we can’t wait to honor you on June 25th! Tell us – why are you involved with increasing access to justice? Even though most people probably think I’m a privileged white male – which I guess, on some level, I am – I have a very different sense of myself. I grew up as a gay Jew in Utah – as a double-outsider. And add to that, my parents also grew up Jewish in Utah. So I learned at an early age to love and respect those who didn’t fit in – which meant a wide range of people – the economically challenged, the foreigner, and the less-abled. Also, since I had experienced the tyranny of the majority (both growing up and during some pretty ugly ballot initiatives), it was clear that the courts – not public opinion – were THE place for change and fairness. And so I was naturally drawn to legal organizations because they focus on the judicial system – and they welcomed me in. Initially, my volunteering and philanthropy focused on LGBT rights. Given what we’ve accomplished in the last 30 years, it was clearly a wise investment. In California and several other states, I am now protected in the workplace and was even able to marry the man of my dreams, Alex Ingersoll. This was all unimaginable when I was in my 20’s. And there are still many with justice still denied – not just many in the LGBT community, but also those without sufficient financial resources, health challenges or an unclear path to citizenship. The work must continue until every person secures equal justice under the law – it’s what this country was founded upon – it’s what we owe ourselves, our children, and our children’s children. We couldn’t agree more! Martin, could you share with us how you became involved with OneJustice? And so, we built a program together, the OneJustice Executive Fellowship, which next month will graduate its 100th fellow – all able and willing to create meaningful change – to serve more clients and provide better services and to build more sustainable organizations. I have had the distinct honor of meeting and working with each of these Fellows. Nothing is more rewarding than seeing their growth and accomplishments. What a gift! Absolutely! What’s your favorite part of being a member of the OneJustice network? I know this is hard to imagine, but there are still people – even friends and colleagues of mine – who don’t know about OneJustice and the incredible work that we do to create impactful nonprofits and to enhance the legal services sector. I love to explain our work and watch faces light up. Most want to learn more, and get involved. It’s such leveraged, important work. I’m very proud to be part of the OneJustice family. About the OneJustice Executive Fellowship: OneJustice trains current executives and the next generation of nonprofit leaders through our management training program. OneJustice’s Executive Fellowship program is a 10-month comprehensive program that brings legal aid leaders new business skills. We are so excited to be honoring Claire Solot, Managing Director of Bigglesworth Family Foundation, this summer. In 2009, Claire approached OneJustice with the idea for a comprehensive nonprofit management training for legal services leaders, and the result of that conversation – the Executive Fellowship – is now in its 5th year and next month will graduate the 100th Fellow. Please welcome our first honoree, Claire Solot! Claire, we can’t wait to honor you on June 25th! Please tell us, why have you committed your time and energy to working on increasing access to justice? Twenty-five years ago as a law student extern in the Family Law Department of the San Francisco Superior Court, I had the opportunity to see first hand both the value of and need for civil legal services. Following my career as a litigator, I joined the philanthropic sector in 2000. While working on a “safety net” grants portfolio, I started to wonder why legal services were not regularly included in this category. As a result in 2008, we launched our first legal services grants portfolio. Working with these grantees for the past eight years, I am more convinced than ever that civil legal aid is a critical part of the solution to breaking the cycle of poverty. From working on these issues, what is one particularly rewarding experience you have encountered? Bringing together the OneJustice Fellows Advisory Board in 2009 to start vetting the need for a training program for legal services leaders was an amazing experience. In a matter of months, we were able to assemble a “dream team” of diverse leaders, which included: legal aid executive directors, law firm partners, pro bono coordinators, state bar representatives, a non-profit consultant and a funder. In less than 9 months, we went from a mere concept to a fully operating program. What is your favorite part of being a part of the Executive Fellowship? Every time I hear a Fellow share the value of the program, I get shivers. It is amazing to know that by creating and supporting this program, we not only help these individuals in their roles, we help the organizations they work for and the communities they serve. As we graduate our 100th Fellow, I know we have developed an important resource for the legal aid community. As we field requests from alumni, law students and out of state practitioners for more offerings, I know that the current Fellows program is just the first piece of this puzzle. You really are building a powerful civil justice puzzle. Is there anything else you’d like to share with us? Perhaps I am a serial “non-profit program legal service entrepreneur,” as last fall I assembled a new team comprised of funders from a wide variety of sectors, including: community foundations, private foundations, law firms, crowd-source funders, government and individuals. Together, we have launched the Bay Area Legal Services Funders Network. Thank you, Claire, for your dedication to excellence, and your outstanding contributions to ensuring justice for those in need! We are honored to partner with you, and we are thrilled to be recognizing your achievements this summer! About the OneJustice Executive Fellowship: OneJustice trains current executives and the next generation of nonprofit leaders through our management training program. OneJustice’s Executive Fellowship is a 10-month comprehensive program that brings legal aid leaders new business skills.